Michael Caton is seething inside his two bedroom Sydney flat. 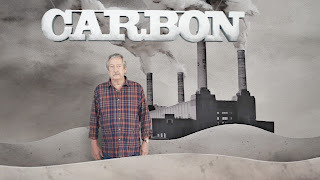 “I have a gas heater and two fans - that is me,” he told the Herald after reading the pro carbon tax advertisement in which he features rubbished because it also features a multi-millionaire, the more famous actress Cate Blanchett. Like Blanchett, the star of the The Castle and Packed to the Rafters agreed to front the ads for free. They will air for a week as part of campaign that cost a coalition of groups including the Australian Conservation Foundation and the Council of Trades Unions around one million dollars. News Limited papers yesterday attacked Ms Blanchett for self indulgently campaigning for a tax she would find it easy to pay. Coalition Senator Barnaby Joyce yesterday backed away from quoted remarks attacking Ms Blanchett saying he hadn’t seen the ad when he was asked for his opinion and now thought the only problem with it was that it was not labelled political advertising. Ms Blanchett is overseas and did not want to comment. Another participant in the advertisement, Ryde mother of three Lilia Bazzi says she agreed to take part because she became enraged by radio shock jocks while at home caring for her 21 month old daughter. “It was angry fearful rhetoric playing on people's fears, and I’m sitting at home thinking these people don’t care about our kids,” she told the Herald. As part of the campaign 140 Australian leaders and community groups have signed an open letter published today pledging their support for a carbon tax. Tom Arup in The National Times: Who knew Cate Blanchett was so wicked?
. Carbon tax. "We'll be rooned" What crap.